If you don't live anywhere close to any of the International Moke Day events listed on here that is no reason not to be a part of it along with everyone else as IMD is intended for individuals to participate even if you have no Moke friends close by or your Moke is still being restored or wasting away in a garage. On Sunday the 29th, do something with or in your Moke, takes some photos to share with everyone, at least one should be holding the Sunday 29th edition of a local newspaper just to show it is really International Moke Day, and write a few words about your IMD. If you are feeling a little more adventurous, then email me your name and where you intended to hold your IMD and I will list it on this site and maybe you will find a Moke owner nearby to join you. I know of Mokes currently in about 20 countries and it would be good to read about some new faces and places in the post International Moke Day reports for 2013.
International Moke Day is about doing with your Moke on Sunday the 29th and sharing your photos and stories with other Moke owners from around the world at the end of the day. International Moke Day 2013 will be held on the last Sunday of the September and will involve Mokes and Moke Owners from around the world. Whether you are apart of a group of Mokes or its just you and your Moke, everyone can be a part of International Moke Day and feel just that little bit special because you have a Moke and other people don't. A new feature for MokeWerx is a list of people and their approxiamate location is available to help people find other Moke owners for events like International Moke Day. Follow this link to find out more about how to add your name and make contact. 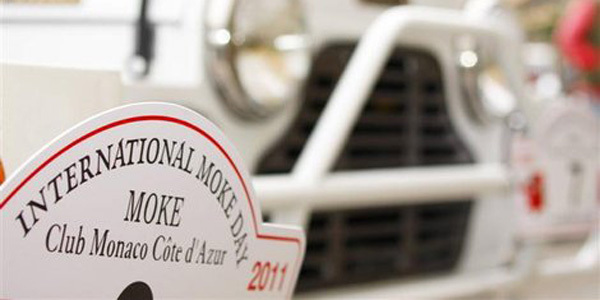 For 2012 International Moke Day will be held on the last Sunday in September, the 30th around the world. IMD is a opportunity for everyone who owns a Moke to be a part of something big and enjoy a trip, event or activity and meet other Moke owners who live nearby that may lead to more local Moke things for you. International Moke Day started in June of 2007 as an idea to get Moke owners out in their Mokes to enjoy a day in their favourite little car and to feel part of something bigger.